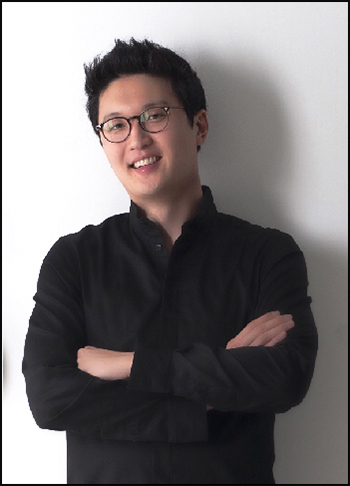 Artistic Director Conductor Yong Joo Ahn was born into a musical family in South Korea and began studying violin and viola with his mother at the age of four. He has been performing internationally as a soloist, chamber musician and conductor throughout the United States, Europe and Asia. He has been featured in numerous international television and radio broadcasts, and has performed in nearly every other major U.S. city, including numerous appearances at Carnegie Hall, Lincoln Center Alice Tully Hall, The Town Halls in New York, The Kimmel Center for the performing arts in Philadelphia, The Library of Congress, and the Kennedy Center in Washington D.C. Recently, he received the title as the “New Artist" in Korea. In the past, he performed as an artist-in-residence member with the DaeJeon Culture & Art Center Chamber Music Society and also at the KBS spring chamber music festival in Korea. In recognition of his excellent performances, he received the Grand Prize from the Seoul Youth Chamber Music Competition, as well as many awards from other major concerto competitions including Korea Music Association Competition. He received full scholarship during his course of study in the U.S. with the world's famous violists Jodi Levitz (San Francisco Conservatory), Atar Arad (Indiana University) and Hsin-Yun Huang (New England Conservatory) and as well as chamber music with members of the Guarneri Quartet, the Juilliard Quartet. He also studied conducting with Jacques Desjardins, Scott Sandmeier. In 2014, He became a member of the viola faculty in 10th Korea Philharmonic Research Institute in South Korea. Recently, He conducted the HopeBox Youth Orchestra sponsor by UNICEF and Sonnet Ensemble sponsor by Korean Consulate San Francisco in Bay Area.